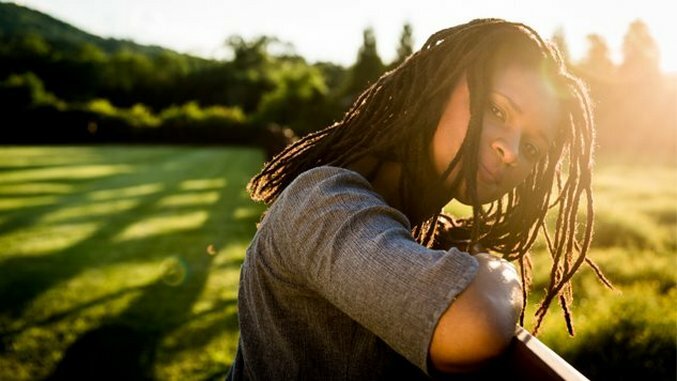 Daily Dose: Lizz Wright, "Barley"
Although Lizz Wright’s forthcoming album is named GRACE, this is not the record on which she showcases her gospel prowess. (That would be 2010’s Fellowship.) Rather, on her second effort for lauded jazz label Concord Records, Wright offers her soulful, jazzy takes on 9 covers selected in conjunction with producer and venerable songwriter Joe Henry and one original co-written with Maia Sharp. The first offering from GRACE is “Barley,” a track written and recorded by husband and wife duo Birds of Chicago for their 2016 album Real Midnight. Through a traditional blues structure heavy on lyrical repetition, the song channels a sense of inner strength and immobility. Wrapped in the warmth of Wright’s voice and rich guitar work, however, “Barley” has almost a lullaby-like quality, a protection that you can throw across your shoulders like a blanket or incant like a mesmerizing spell. Take a listen to “Barley” below and look out for GRACE, due out via Concord on September 15.